Think, it&#39;s not illegal yet. Thanks alot man, those look great. Far better than i could ever have done. They look good. Just one question, though. 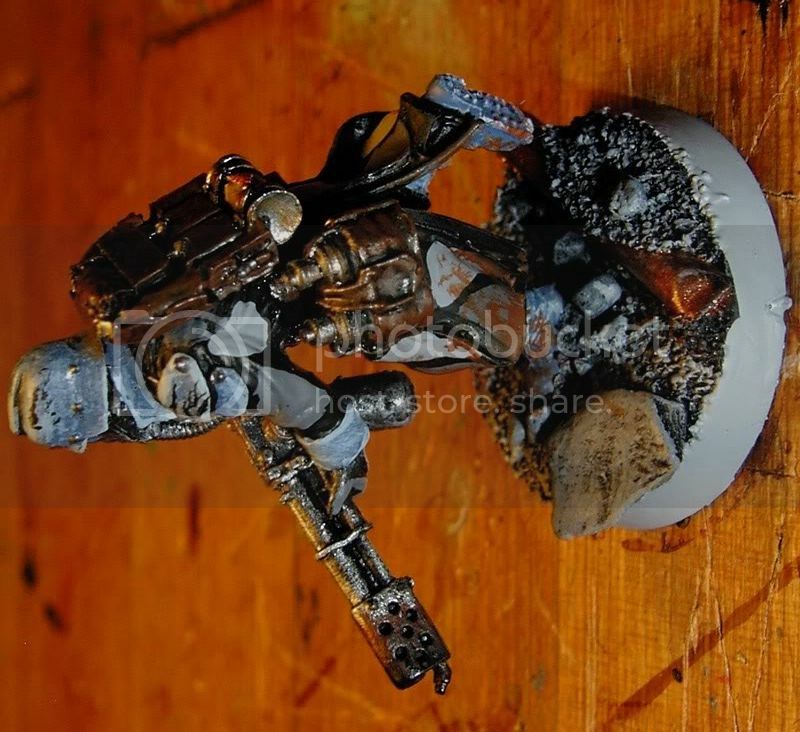 What&#39;s with the dude with the bolter? Did he drop it? Ah. No, it&#39;s just a piece of terrain/scenery. It&#39;s half buried in the ground. His lasgun is on his back. 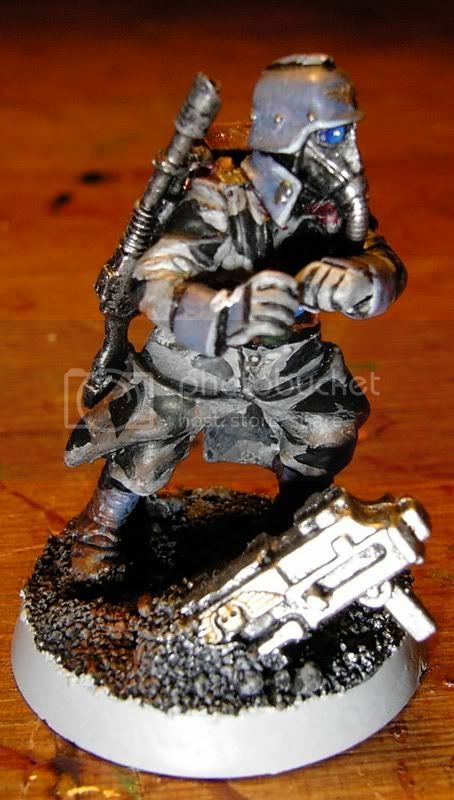 Its the back end of a heavy stubber that i used to make my cadian stubber crews. Must&#39;ve been attacked by a travelling paintbrush. Just fixed it, but out of reach of a camera now. Great . The eye jewel effects have been done really well. I have walked the edge of the Abyss. I have governed the unwilling. I have witnessed countless empires break before me. I have seen the most courageous soldiers fall away in fear. I have seen your future. There will be no more Sadness. No more Anger. No more Envy. Cool. I like the camo you have applied to them. You, beowulf should be very happy. 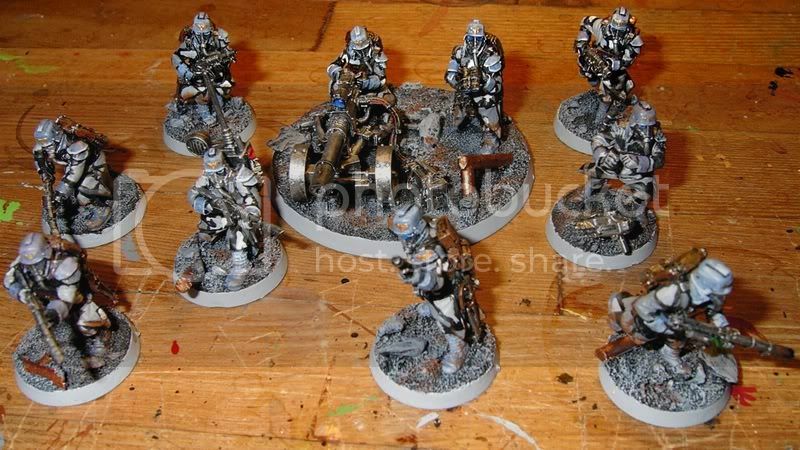 Same as 40k models, and they&#39;re forgeworld Death Korps of Krieg models.